At Launch Interactive we build Websites and Mobile Apps. We are based in Ballarat, Australia. Our focus is Quality, Consistency and Simplicity. Launch Interactive is having a break and will be back on the 2nd of January. Thank you to all our valuable clients. It has been a huge year for us and we love working on your projects. Have a great Christmas and a Happy New Year! As a small Christmas present to some of our developer friends we have released a new update to our WordPress plugin "Merge, Minify & Refresh". The new version fixes a few bugs and will keep it rock solid ready for 2019 and beyond. Oh, and by the way.. It now has over 10,000 WordPress installs! It is nice to build something you are proud of, even a splash page! 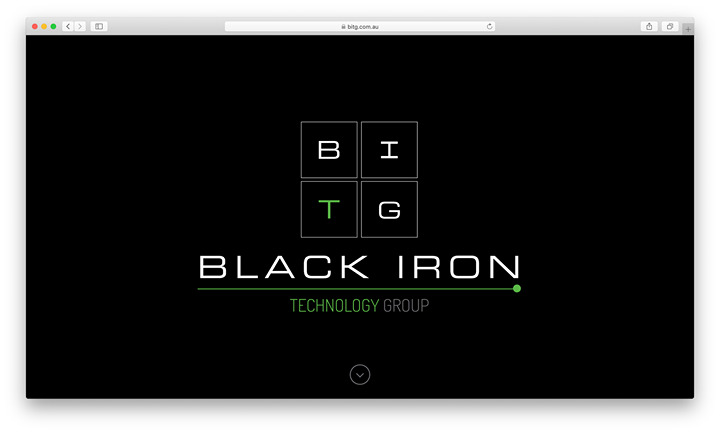 Chris and the team at Black Iron Technology Group were a pleasure to deal with. It’s been a long time coming but its finally here! 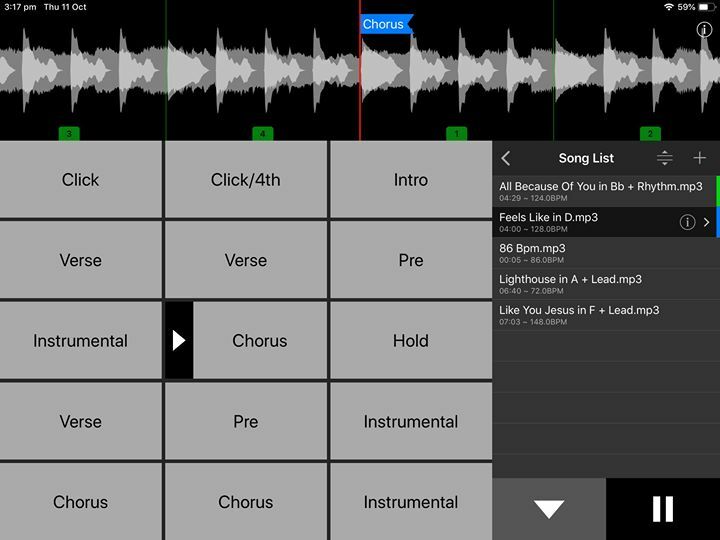 TRAX 2.9 is the perfect companion for backing tracks in a live setting. It’s simple to use and doesn’t get in the way. The latest update fixes a few bugs and adds some useful features like playlist duplication and the ability to transition between songs without any gaps! Not only that but it has set us up for some great new features in the future which we can’t wait to make available. In the mean time enjoy TRAX 2.9. Plenty Valley Christian College had a dated website that was clunky and hard to maintain. They came to us wanting a brand new website that loaded fast, was easy to maintain and organised all of their content for teachers, students and parents. We built a custom theme in WordPress and made sure it works well on mobile and desktop. It includes some nice CSS transitions and a couple of fancy autoplaying videos on the homepage. Plenty Valley were a delight to work with and we hope to continue to work with them in the future. Big Screen now has it's own Facebook page, Instagram account tutorial videos! Matthew Duke is a landscape photographer that “loves capturing the beauty of the planet” so that he can share it with you. 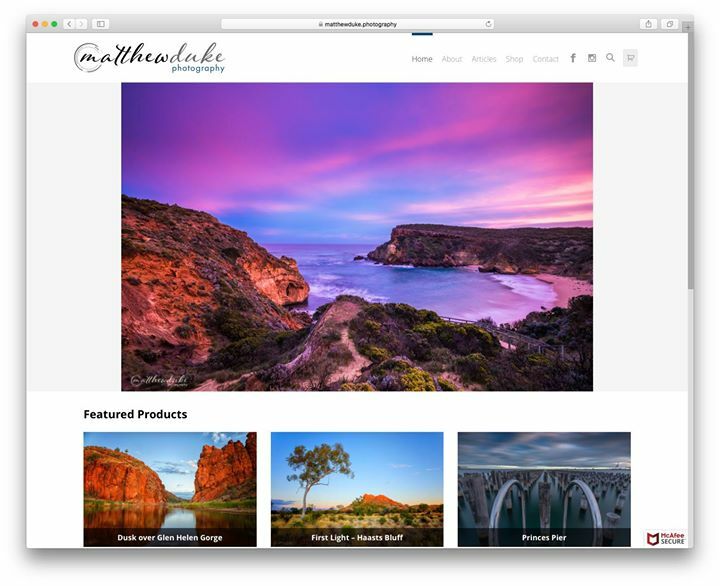 Matt approached us and asked if we could create a website that showcased his landscape photos and made it simple for customers to purchase online. We designed and developed his brand new website using WordPress as the backend and using Woocommerce for the shopping cart. Matt was fantastic to work with and we hope to continue to work with him in the future. P2Group had an existing WordPress website that was built from a purchased template. It was slow and clunky. 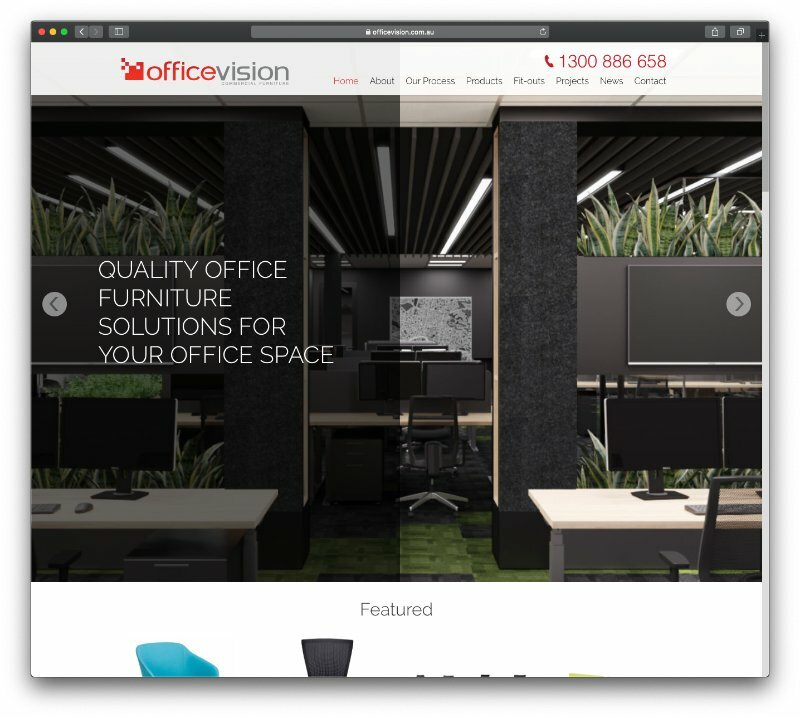 We worked with MJH Group (www.salesandmarketingexperts.com.au) and Stroke (www.stroke.com.au) to rebuild the website based on their new branding. 5 years ago I became frustrated with the software we were using in my church to display lyrics, scriptures, images and videos on a projector. Being a web developer I wondered if it would be possible to come up with a solutions that was entirely web based. Something that could run entirely in your browser and not require any installation. I didn’t end up winning anything and I ended up concluding that the web wasn’t ready for something quite like this. I shelved the idea. Last year I decided to re-visit the idea. My church was using well known Church Presentation software at multiple locations and it was crashing a lot. I found the interface clunky and restrictive. I decided to try creating what is now know as Big Screen. The previous software we were using allowed for looping videos but applying a video to each slide restarted the background on each slide change and transparent videos was only possible on macOS. Also, the slides you click on didn't show exactly how it would look on the frontend. The first demo I made allowed for looping videos but I had been dreaming of adding transparent video on top of moving backgrounds. It turns out WebM videos works pretty well for this and it opens up loads of possibilities for animated slides and logos. Transparent videos work pretty well right now in Big Screen. In the future if AV1 takes off then we may even switch all our video playback to use that codec. One of the biggest issues with my first demo was that it didn’t work without an internet connection and struggled on a slow network. Fortunately the web now has Web Workers to enable downloading and running a website offline. This seemed to work well for everything… except for videos. There is a limit to how much a web browser can store offline and its not even consistent between vendors. To workaround this we decided to create the Big Screen Cache Client. This means that users can install the Cache Client if you want instant video playback. Big Screen will still work without the client and hopefully one day we can ditch it entirely and achieve our goal of being completely web based. Another issue with the initial demo was that setup would take a few steps to configure the displays. While it was not terrible it did require moving windows around every time you opened the website. Browsers don’t offer the ability to restore a full screen window for security reasons so in Big Screen we ended up writing a web extension for Chrome and Firefox to streamline this process. Once the extension is installed setup only needs to happen once. This is just some of the challenges we have faced over the last 12 months but right now we are incredibly proud of what we have produced. We are not done yet. We have loads of features we want to add and plenty of suggestions coming in. Big Screen currently works in Chrome and Firefox on Windows, macOS and Linux and is in beta in other browsers. Big Screen is now being used at lots of locations every Sunday and is now available for anyone to signup. We have included a free 30 day trial and priced it very reasonably so any church can give it ago. 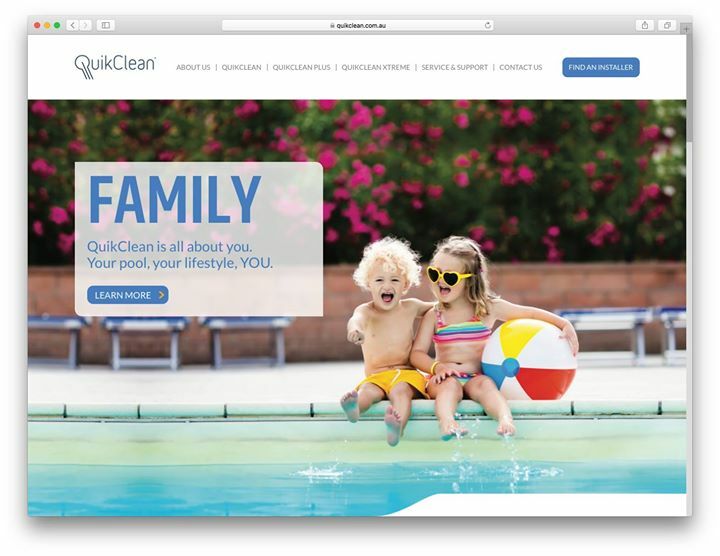 Cooke Industries required a new website for their QuikClean product range. This website had a fast turnaround due to an expo they were involved in. It includes a responsive WordPress theme and an Accredited Installers section. Digital Outlaw did a fantastic job designing the new site and we put it together. 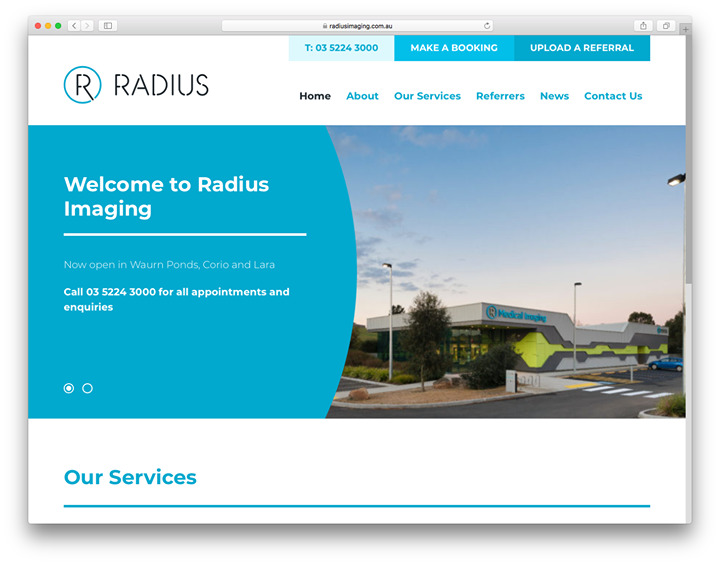 https://radiusimaging.com.au - Not too long ago we released a refreshed version of the radius website. Their existing site needed a bit of a makeover and re-structure due to patient feedback. We worked closely with Made Visual and Radius Imaging to build a new site we are all proud of. It was a joy to work with Made Visual and Radius once again. 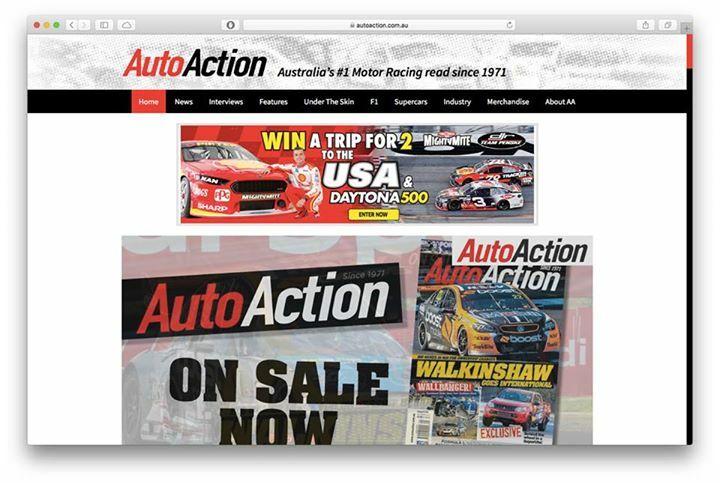 https://AutoAction.com.au is a site we built a while ago. It features a custom responsive Wordpress theme that was built to handle lots of traffic. The site gets loads of hits, especially when a big news story breaks. We recently switched the web server from Apache to Nginx and have seen an improvement in performance and uptime. They AutoAction guys are great to deal with and we hope to continue working with them as the site grows. The St Patrick's College Ballarat Business Directory is now live. This project required a Website where Alumni can register and create/pay for their own listings. The listing is then available on the website and in Android and iOS Apps. We used Stripe for the payment gateway and found its integration much smoother than PayPal. It has been great to work with Nashish Marketing and Design and St Patrick's College, Ballarat and hope that the directory becomes a great resource to the community. 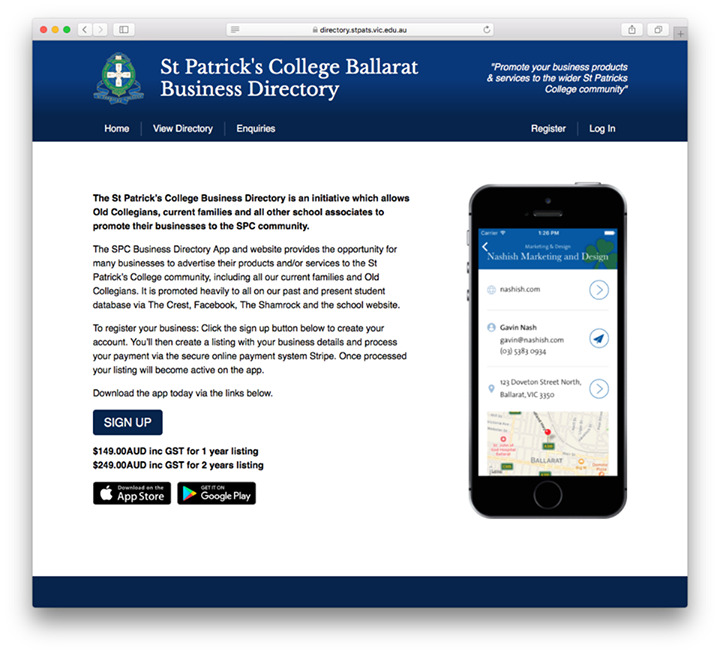 Visit https://directory.stpats.vic.edu.au to register or search for "SPC Ballarat Business Directory" in the App Store or Google Play. 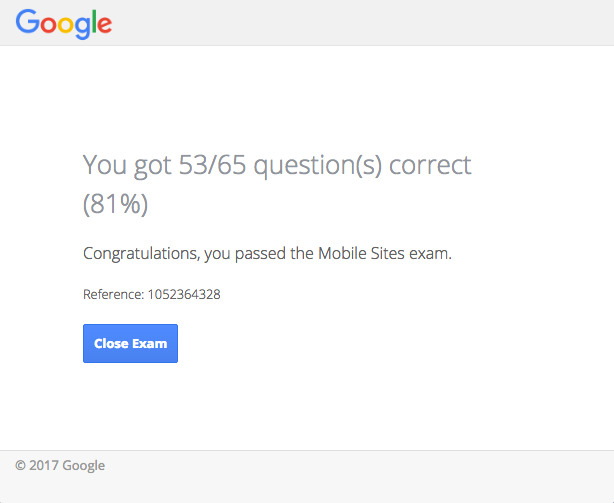 Just for fun we did the Google Mobile Sites exam without any study. Apart from the odd question I think we did ok.
We have just released a brand new website for Urban Horticultural Solutions (UHS). 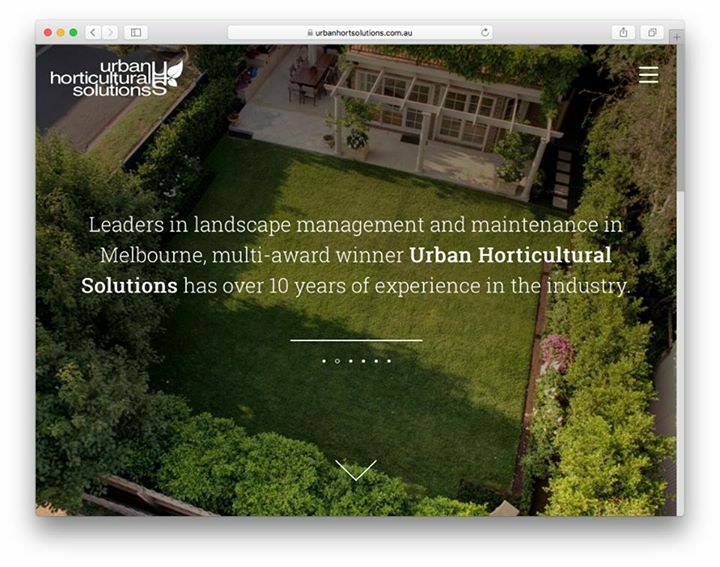 UHS are multi-award winning landscapers and their new website is set to showcase this. Scroll through the galleries and get some inspiration! The website has a custom WordPress theme designed by Adam from Royale Blue and built by Launch. We built a custom WordPress gallery plugin to make creating and editing galleries a breeze. 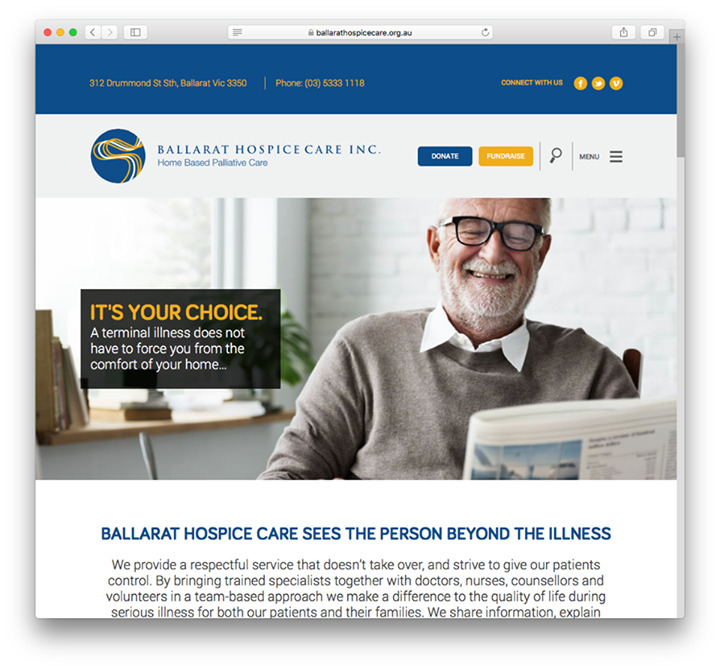 Ballarat Hospice Care has recently been released. It was designed by Jamie from Digital Outlaw and built by Launch. The site has lots of custom elements like parallax, slide out menu, css blend modes, animated statistics and more. It is completely responsive and built with speed in mind. 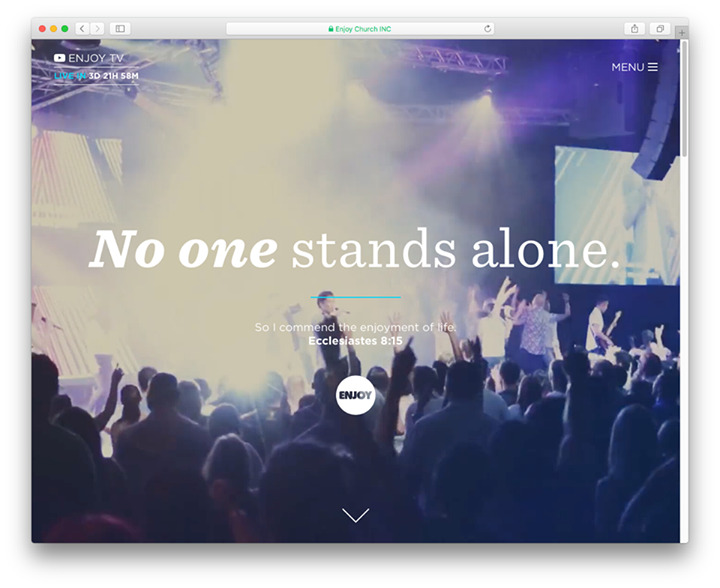 Launch Interactive built a brand new website for Enjoy Church. This WordPress website includes custom integrations with an internal database, Elvanto, Twitter and Instagram. The site is optimised for mobile as well as desktop. It is designed to load super fast. Even though the menu is very simple the way it works on mobile is quite an achievement. We are also proud of the custom select box styles. It was great to work with the team at Enjoy and we look forward to more projects in the future. Stoked to see TRAX being used around the globe!